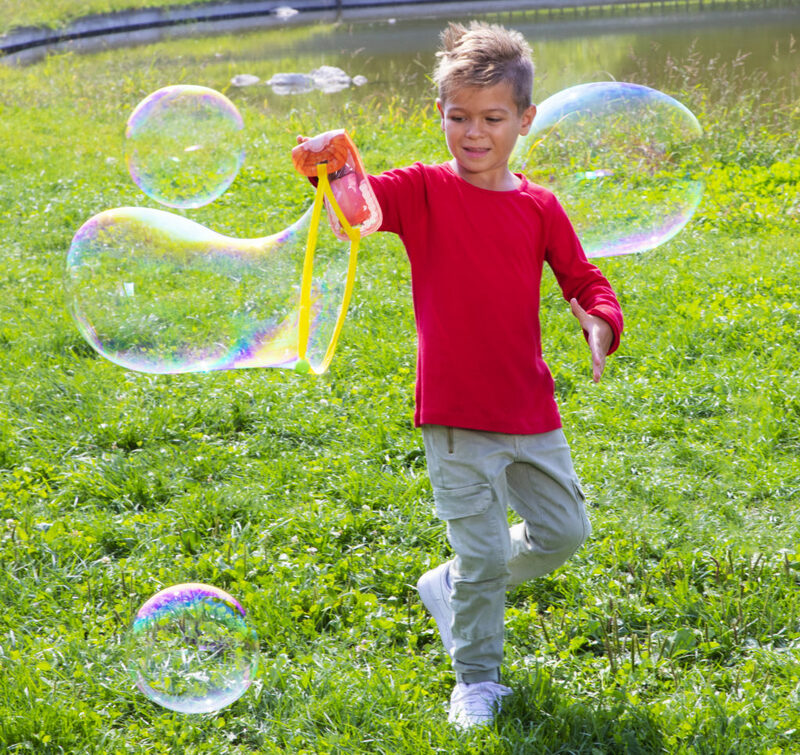 Let the summer time fun begin with Big-A-Bubbles from Zing! Simply remove the bubble pouch from the packaging and pour one of the two bubble solutions into the pouch. Then dip the glove into the pouch, open the mouth of the glove with your hand, and watch GIANT bubbles form right before your eyes. The pouch is also re-sealable and refillable. Big-A-Bubbles comes in six different themed gloves, including, Lion, Crocodile, Pirate, Shark, Duck, and Bear characters. There’s a Big-A-Bubble for everyone!